What traditions do you stick to on Christmas day? I know one of the first things that happens in our household as soon as the cooking commences is the initiation of festive music. As the day goes on, it somehow gets louder and louder, and then singing and dancing is suddenly commonplace, as the merriment spreads like a welcome plague. It really is good fun, even if you’re in the scroogiest of moods. 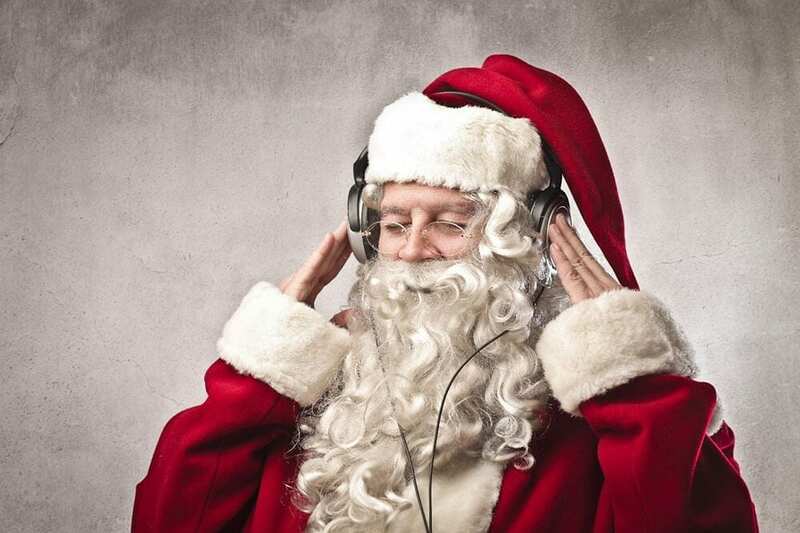 I think Christmas music is a fine balance, you don’t want to hear something for the billionth time, but you also need to cater to all age groups, maintain tradition, bring in something brand new and accommodate everyone’s personal preference. In previous years (now decades), we’d have a stack of cassette tapes to go through, or the radio on all day. Then it was a pile of CD’s, or MTV, and then eventually someones random iPod playlist. Now with the establishment of YouTube, Apple Music and so on, the possibilities and choices are endless. I think finally, we can all agree to unanimously ban Mariah Carey ever bellowing “All I Want For Christmas Is You” through hand-me-down speaker sets and ruining any shred of sanity we’d managed to preserve by the end of a gruelling year. If you love that song, I do apologise. No matter what you’re style is, Christmas day just isn’t complete without a Christmas playlist to set the ambience and carry you through breakfast, lunch, dinner, champagne, fire side conversations and gift opening. With that being said, we hereby present our 2017 Christmas playlist collection that starts you off energetically with contemporary new releases from Sia, Noah Cyrus, Gwen Stefani and Megan Nicole. Then expect more traditional sets of harmonies from The Tenors and Vince Guaraldi Trio, Acapella from Pentatonix, violin solos from Lindsey Stirling, and live performances by the enchanting Eva Celia. Of course, we couldn’t forget the jazz, modern Chillstep and beloved celtic covers. We’ve made sure there’s hours of festive frequencies to discover, and the backdrop lull won’t stop unless you want it to! No need to worry about appointing a DJ as we’ve done all the work for you! You can either pick and choose where you’d like to start off, or let the Christmas playlist roll on from the first song, finishing with a 24 hour live stream of piano and orchestra instrumentals. From all of us here at The School of Natural Health Sciences, we send out good vibes and hope that wherever you are in the world, you have yourself a merry little Christmas!